PARAD is the very lucky metal which is used by Indians to worship of GOD. 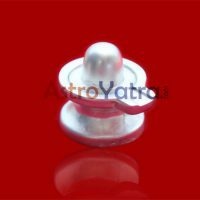 PARAD SHIVLING has much importance in PARAD products. It is originated by the LORD SHIV, therefore pooja and worship of PARAD SHIVLING destroys all the sins. In ancient Vedas it is mentioned that there is nothing pure and real more than PARAD. It is made up of two things like mercury an silver. It is considered, only Lord Shiva accepts normal worship of people and gives all the things by blessing for that people are expecting .If you want to make happy Lord Shiva by your worship then situate PARAD SHIVLING at your living place. You can situate it after taking a bath on Monday at your worship place. It is described in “SHASTRA”, PARAD SHIVLING affects the people as much as KEDARNATH, BADRINATH, and AMARNATH. People of any cast can use it to worship, all heart wishes are fulfilled by LORD SHAIV. The importance of PARAD SHIVLING is elaborated in PURAN and SHASTRA. PARAD SHIVLING is the appearance of LORD SHIVA, Therefore worshiping daily, presenting BEL leaves and flowers, snan by milk and water makes lord Shiva very happy ,accepts and fulfills all your wishes. PARAD SHIVLING PACKAGE– 2700 RS.